Operating from two locations, one in Pt. Richmond on San Francisco’s North Bay on the Eastern side of the Santa Fe Channel; and the other located in Sausalito at the Northern end of Richardson Bay. 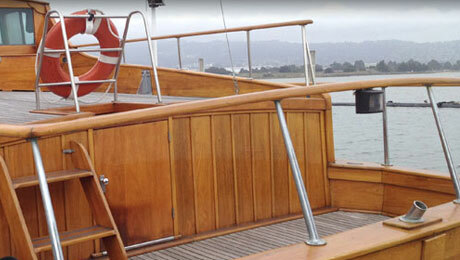 KKMI offers the complete package of marine services, and have a full chandlery and yacht brokerage office in Pt.Richmond and are agents for Nautor Swan. Jeff is a National Race Officer and officiates many of the Sailing Regattas and races in the Bay Area. He knows the waters and the people on it, and is a good resource for local knowledge and services available while in the area. Complete Marine Services Capt. Greg Snead knows ‘the Bay’ and can provide valuable insight and assistance to repairs, area networking for services and general knowledge of the local Bay area nautical scene. He is a mobile Marine Service Provider.